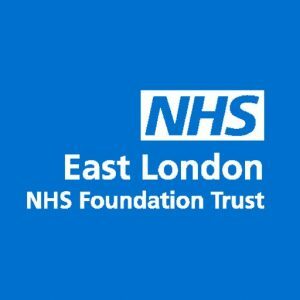 Jenny Neuburger, who works in the Medicines & Pharmacy Analysis team, recently spent a 2 day connecting placement at East London Foundation Trust and has kindly documented her visit here. For my Connecting visits, I wanted to understand more about how care works outside hospitals. I spent two days shadowing community health teams who provide care to people in their homes in East London. Their goal is to help people stay healthy and out of hospital wherever possible. The services are run by East London NHS Foundation Trust (ELFT) and work closely with local GP services. Three teams cover Tower Hamlets, East and West Newham. The teams include district nurses, physiotherapists, occupational therapists and non-clinical support workers. Some of the services would otherwise need to be provided in outpatient clinics in hospitals. For people with high basic care needs, equivalent care could probably only otherwise be provided in nursing homes. I shadowed one of the district nurses, Regina, on two of her visits. She visits people to provide regular injections, remove and reapply dressings and bandages, and perform procedures to support their basic physical functions. Regina explained that she liked the independence and flexibility of working in the community instead of hospitals. One lady we visited had leg bandages up to her knee to prevent recurring leg ulcers, which were changed each week. We all chatted and helped hold bandages, scissors and tape, while Regina bandaged her legs in three layers using three different techniques, to get the pressure correct. Sitting in this patient’s living room while they received care, the atmosphere was relaxed. It felt different to the atmosphere in hospitals, even when the hospital team is great. The nurse-led Telehealth team in Newham remotely monitors the health of around 400 people with long-term conditions such as diabetes. The aim is to help people manage their condition to avoid emergencies that end up in a hospital admission. People who sign up for the service provide daily measurements, using equipment provided by the team or by phone, email or text. If their reading is abnormally high or low, the team contacts them, asks for a second measurement, and visits or refers them for assessment. The health care navigators help people in a range of practical ways. The team leader in Tower Hamlets, Fran, explained that their role is to help people access the services they need, and solve problems that prevent that. The team helps people who have problems with their benefits or paying their bills, who have multiple conditions covered by different clinical services, or who are struggling to cope because of mental health problems or bereavement. They listen, advise, advocate and organise appointments and referrals. There are a lot of different community health services with a lot of different names. The Telehealth team leader explained that their service is trusted and effective because it is well-integrated with the other services, including access to the GP IT system and agreed emergency referral routes. Mary, the triage nurse in Newham, has a giant file containing referral guidelines and lists of services, names and numbers that she continually updates. She explained the importance of good connections between services, between calls arranging for someone to go home from hospital for their last days of life. This required equipment to be quickly delivered by community teams to make that happen in the most peaceful and painless way possible. The training team showed me the game-based resources they have developed to help team members understand their different roles. They are developing a set of competencies that describe common skills required to work effectively in multi-specialty teams. Petra, the service manager, has the challenging task of simultaneously finding savings and transforming services in Tower Hamlets. She speculated that moving care out of hospitals is not necessarily always cheaper. She described difficulties in reducing services, such as basic toenail cutting provided by the foot health service. She also made a compelling case for training and empowering individuals, and their families and carers, to manage their conditions and do more of their own care. Thank you ELFT staff for organising such a packed and interesting visit, and taking the time to patiently explain how everything works. I’d be happy to chat to any DHSC colleagues who are interested in doing a Connecting visit and want to know more about what’s involved. Interested in a Connecting Placement at ELFT? There will be placements available in 2019, please forward any interest to connecting@dh.gsi.gov.uk and look out for updates in the Connecting Bulletin. For a different type of connecting have you considered The National Council for Voluntary Organisations’ ‘A Day in the Life’ scheme? The application process is now open and will run until 21 December and more information on the scheme can be found here.